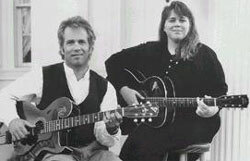 Ann and Phil Case present an enjoyable and exquisitely simple compact disc of old-time songs. The Cases keep their focus on the songs themselves, singing them instead of singing through them. Their selections rarely prove unusual, but the material is uniformly excellent.